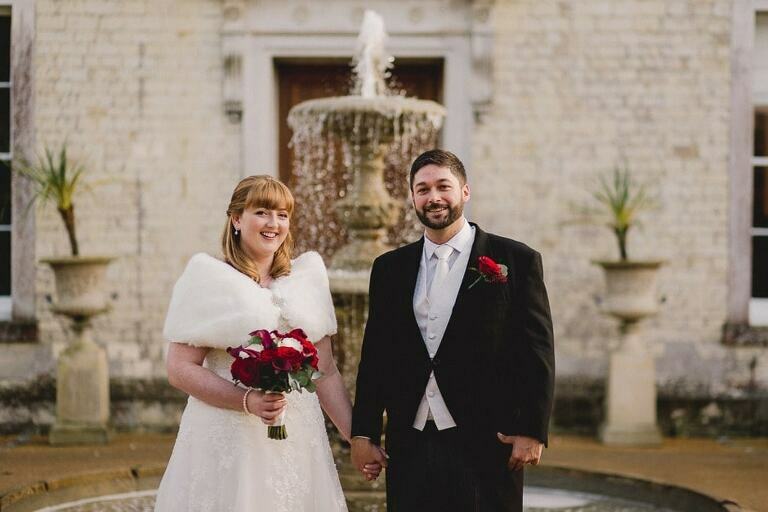 Located in the picturesque village of Upper Froyle in Hampshire, midway between Farnham and Alton lies Froyle Park Manor – a wonderful wedding venue and Nicola and Phil’s choice for their special day. The current house boasts elegant Jacobean features, and was built in 1620 on the site of a former monastery making it rich in history and an elegant location. It is indeed a truly romantic setting offering many stunning backdrops and this made for some truly memorable wedding photographs of their day. I always love shooting at Froyle Park as there are endless photo opportunities and with acres of glorious rolling countryside what’s not to love about this venue! The couple wed in the luxurious Great Hall with their reception drinks in the more intimate Drawing Room. It was a fresh Winters day and with the sun setting very early I took them around the grounds for some beautiful golden hour shots of the two of them away from the crowds. I really enjoyed working with this lovely couple and can’t wait to be back at Froyle Park again soon. Here are just a few of my favourite images from their wedding…….